When they learn that I grew up just outside of Yellowstone Park in the Idaho shadows of the Tetons, people usually ask me when the best time is to visit. They mesmerized me each morning as I waited out by the mail box for the school bus. But early influences on my appreciation of sense of place were just as likely to be to the west of the ranch which had a strikingly different landscape. But before I get to that, let me respond with two answers to that question about the best time to visit Yellowstone. My top-of-mind answer about the best time to visit is “fall” which was my favorite season to go there growing up. But possibly the very best time of year to see wildlife now such as moose, bear, buffalo, elk and wolves, is in the winter. Until 1948, the year I was born, there had been only a few snowshoe tourists in Yellowstone. But that year the first snow planes entered the park. Our neighbor and father of one of my schoolmates had one similar to the one shown in this video. By the time I was in second grade, visitors toured Yellowstone in the winter aboard Bombardier R12s, mini-buses with skis (instead of tires) in front and tracks in back. Very cool and yes, this is the very same company that makes very cool business, and commercial jets and high-speed trains. It took root back in the 1930s when 15-year-old J.A. Bombardier began invention of these vehicles in the years before snowplowing of rural roads was mandated in his native Quebec, Canada. I was that age before the first snowmobiles entered the park which soon became a problem that has led to limitations, in part, to preserve tourism quality for all concerned. Snowcoaches today are much quieter and far more comfortable but not far removed from those old R12s. My earliest roots in Idaho go back to 1860 and creation of the first permanent settlement there. This was more than a decade before Yellowstone Park was created and before Idaho was even a territory. How we came to be located much further north in that nook of Idaho even traces to that period, when one of my great-great grandfathers was a “freighter” to the gold fields in Montana, meaning he drove a stage coach designed to carry supplies up that 250 mile route. But that is for another post. Lets just say I am as Idaho as it gets. Many of my sense of place influences there were also formed when I ventured west out the back of that ranch house during unstructured exploration and play time on old buggies, a deserted Power-Wagon and in abandoned ancestral houses including treasure-filled landfills. I was also drawn further along a nearly hundred mile stretch to the west beyond the hills and meadows of our rangeland, through a landscape that was much more subtle but just as dramatic as the much closer Tetons and Yellowstone were to the east. The ranch lies along the cusp of a sagebrush steppe west of the Tetons. Eight miles west just and beyond our rangeland was the northern reach of a towering range of sand dunes that stretched southwest parallel to the Henry’s Fork River, past St. Anthony where my grandparents lived to the Egin Bench. By towering, I mean that some of the dunes reach 250+ feet. They are a mini-Sahara. There was even a resort and swimming pool at the time but I think they got buried as the sand dunes migrated up against a series of mini-volcanoes called the Juniper Buttes. Between the ranch and those dunes is the refuge for Elk I have written about. They winter there before migrating past the ranch and back into a remote Idaho corner of Yellowstone to summer. On the other side of the dunes lies the Camas National Wildlife Refuge, created in 1937 as a resting place for 50,000 migratory ducks and 3,000 geese. Basalt columns underlie this entire region. Our ancestral ranch lies at the intersection of where the Northern Rockies and the Teton Range of the Central Rockies meet. The steppes slope gently down before rising in elevation past the refuge to meet other fingers of the Northern Rockies stretching southeast out into Snake River Plain. One of those fingers is the Lost River Range, about a hundred miles west of the ranch and midway to one up between Stanley and Challis, owned until recently by singer-songwriter Carole King. Two namesake rivers, the Big Lost River and the Little Lost River run down each side of this range, which contains the highest peaks in Idaho. They are named “lost” because they abruptly disappear into a “sink,” recharging the vast Snake River Aquifer, a giant underground river. 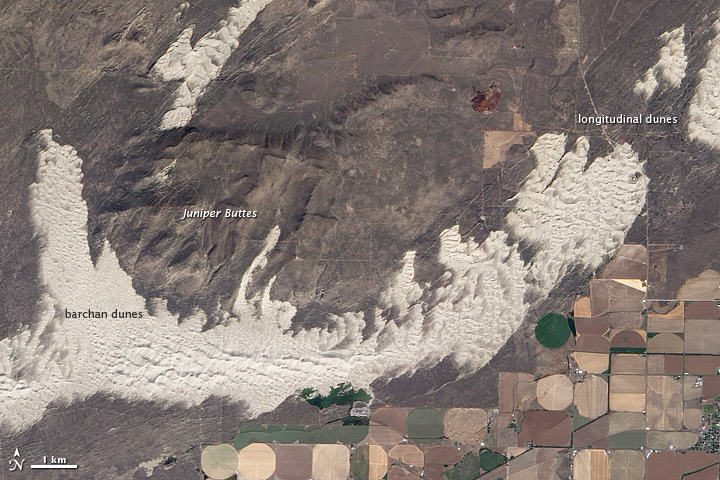 Opposite 12,668 ft Borah Peak on the east side of this “sink” is a pre-historic archeological site called Wasden. Here, when I was beginning my senior in high school just 29 miles east and more interested in music such as Satisfaction, Help and California Dreamin , Idaho archeologists uncovered thousands of prehistoric artifacts in caves created by collapsed lava tubes. Sixty miles southwest of the caves along American Falls Reservoir, archeologists from ISU just uncovered the skeleton of a 70,000-year-old Mammoth. Just to the southwest of that “sink” along the mountains and stretching down to just above the reservoir, for nearly 15,000 years, there have been eight eruptive periods or lava flows that lasted anywhere from a few years to a few hundred years and spaced between by 2,000 years of calm. This area lies along an alternative route that wagons along the Oregon Trail took called Goodale’s Cutoff beginning a few years after my Idaho roots were first established and almost two decades after my ancestors settled west along the Rockies. Wagon trains didn’t end with the completion of the first transcontinental railroad in 1869. They continued along that route until 1900 when they finally gave way to the motor vehicle era. 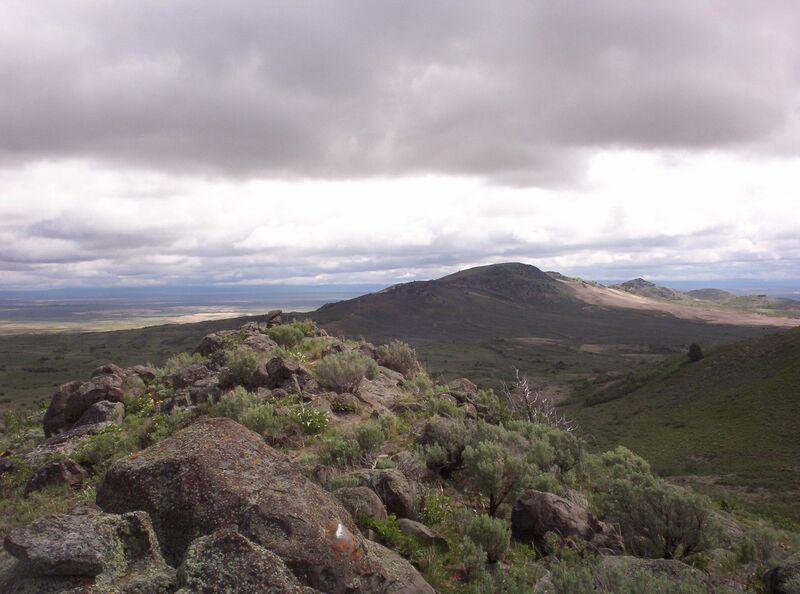 In 1926, Republican President Calvin Coolidge set this eerie tract of eruption aside as the Craters of the Moon National Monument and Preserve. In preparation for landing on the moon, Apollo astronauts visited the area in 1969 to study its mosaic of flows, splatter cones, craters, monoliths and other Moon-like geologic features. It wasn’t the first time the area would be used for research. The area immediately northwest of the monument had been used during WWII as a proving ground by the Navy to sight-in battleship guns and by the Army for testing munitions and for bombing practice. Then after the war, it was chosen as a site for research on the first atomic submarine including a prototype for the USS Nautilus. This is also where crews for atomic subs were sent for training until the mid-1990s. Yup, in Idaho. In fact, that isn’t the full extent of land-locked Idaho’s naval prowess. Further north in the Idaho Rockies, the Navy also had a training station for other ships during WWII at Farragut on Lake Pend Oreille. By then a state park, the year I started my community marketing career in Spokane and my only child was born, Farragut was the site of the 1973 National Boy Scout jamboree. But even today, at a more remote part of that huge lake, the Navy tests acoustics down 1,000 feet or more using huge scale models of submarines. Yup, in Idaho. Sorry to get sidetracked onto research but you can see what I mean when I say that the influence my native state has on my appreciation for sense of places, goes far beyond its spectacular rivers, mountains, lakes and parks. So anytime you cut through that part of Idaho on I-15 running north-south between Idaho Falls and Dillon, midway between the Teton and the Lost River ranges, if you find yourself complaining that it just seems like miles and miles of sage brush, take a detour for a closer look.